The summer of 2015 was the hottest summer on record in Arizona. While the state is infamous for its blazing hot desert temperatures, it’s never seen them soar quite as high as they have this year. The record-breaking heat has homeowners searching desperately for ways to keep their home as cool as possible, both inside and out. While your AC takes care of the inside of your home, it doesn’t help matters outside where it really counts. The key to staying cool in the backyard (besides swimming in the pool of course) is to control the temperature around your home. One of the best ways to do this and beat the backyard heat is by keeping a natural grass lawn with shrubs, trees and other plants. In fact, Arizona sod lawns and accompanying shade from decorative plants can keep the temperature around your home up to 50% cooler than rocks or artificial turf. Arizona is in a drought. Everyone needs to do their part to save water. Lawns take a little bit of water to become established and maintain good health. 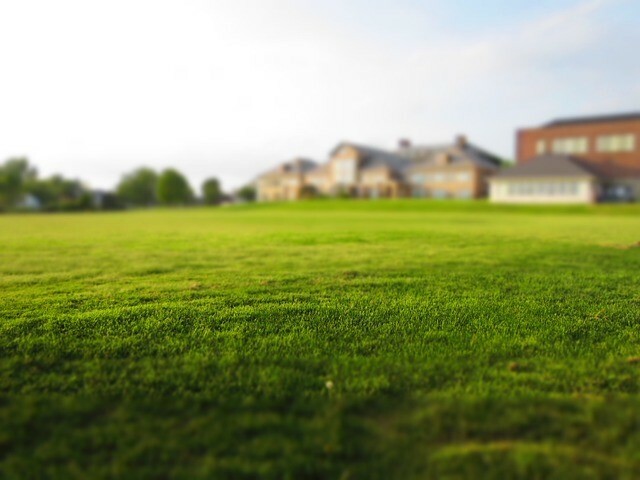 Many people are concerned about whether to keep their lawn because of the drought and the water it takes to maintain grass. If you are mindful of these things, you can keep your lawn and reduce your water use. You don’t have to choose between the two. Because in reality, the majority of city water consumption comes from agriculture, golf courses, hotels, and restaurants. The one thing you should avoid, however, is choosing a turf grass species that is not native to the desert southwest. Make sure you choose a native grass such as St. Augustine, Midiron, or Tifway. These grasses don’t waste water like non-native species because they are adapted to the environment and require less water to thrive. In addition, be responsible with your water-use throughout the house. Take shorter showers. Clean your dishes and wash your clothes efficiently. Follow these tips and you should see a decrease in your water use. Want more tips like these? Check out our 3 Fall Landscaping Mistakes to Avoid.